From the celebrated comedy ensemble Spymonkey and acclaimed illustrator Chris Riddell, this hilariously morbid (and informative!) 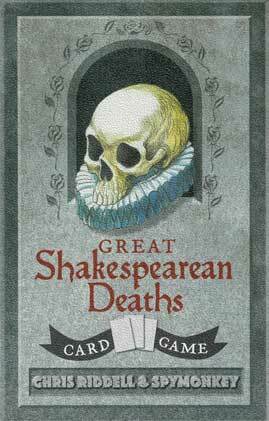 card game has players compare stats such as PITEOUSNESS and DRAMATIC QUALITY while having a lark with everyone’s favorite Shakespearean construct, the amazing deaths. 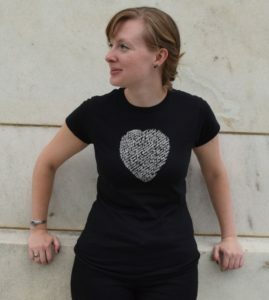 This t-shirt has a heart design created using Shakespeare’s Sonnet 18. 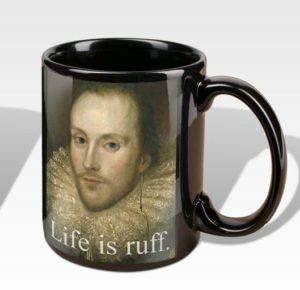 This handsome mug features an image taken from the Zuccaro Shakespeare, which we now know wasn’t painted by Federico Zuccaro and the sitter was not Shakespeare, but it’s still a fine mug with an inscription that just sums it all up. The original painting (part of the Folger collection) is featured in the exhibition Painting Shakespeare, on view at the Folger through February 11, 2018. 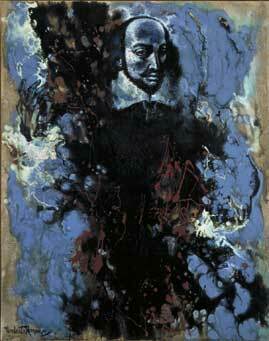 And speaking of the Painting Shakespeare exhibition, you can give the gift of art this Christmas with prints of paintings from the exhibition, such as this one of Shakespeare Recites Shakespeare by Umberto Romano. Hang some books on your Christmas tree! 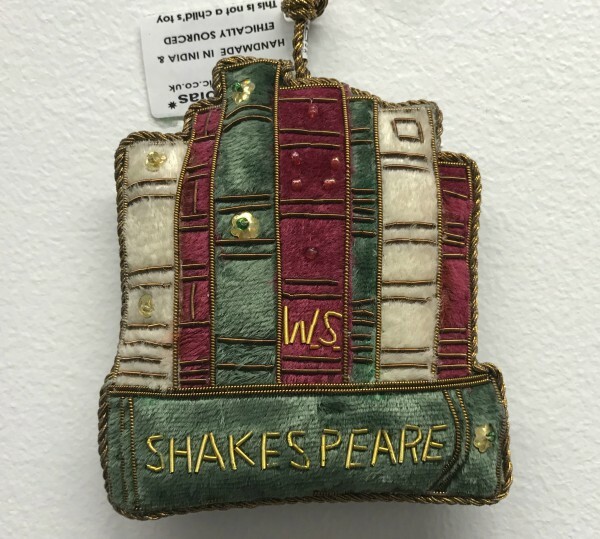 This Shakespeare bookplate ornament was designed for the Folger Shakespeare Library and is made using traditional techniques of Zari embroidery in India. Share the Folger this holiday season! You can choose any dollar amount, and these gift certificates are good for any Folger program tickets including Folger Theatre, Folger Consort, O.B. Hardison Poetry Series, the PEN/Faulkner Reading Series, talks, screenings, and any other special events. Give the Shakespeare enthusiast in your life the chance to experience firsthand all that the Folger has to offer, from invitations to lectures and special events to innovative programs in theater, music, and poetry. Memberships in the Friends of the Folger begin at $75. Visit our website to learn more about the levels and benefits of the Friends of the Folger or give the gift of membership today!